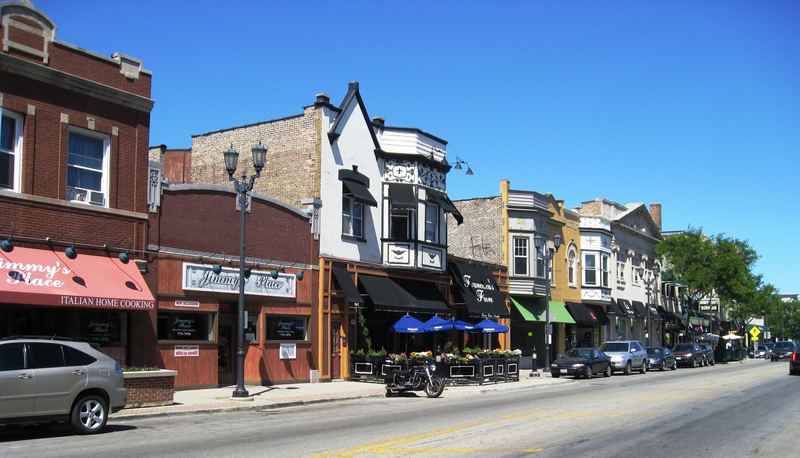 The "Village with a Smile"
Located about 10 miles west of Downtown Chicago, the friendly Village of Forest Park is a community with a small town atmosphere boasting the convenience of easy access to shopping, transportation and medical services. The "Village with a Smile" has a thriving business district along Madison Street with an interesting mix of quaint shops, pubs, and upscale dining establishments. Many community events take place in the Village including the largest Saint Patrick's Parade in the suburbs and various summer festivals. The Park District of Forest Park has 15 acres featuring a beautiful aquatic center with water slides and tennis, baseball, soccer, and basketball facilities. The Forest Park Public Library is constantly upgrading its collections and adding to its services. Forest Park's proximity to the I-290 Eisenhower Expressway provides convenient commuter access to Downtown Chicago and the Western Suburbs. The Village is also served by the CTA Blue and Green Line trains.